Cathedral Window was inspired by the historic church stain glass windows. The quilt block became popular in the United States in the 1930s. Every block is made using a folded patchwork technique similar to origami. A fabric square or circle is folded and stitched to reveal a contrasting fabric on the other side. There are as many variations for making a Cathedral Window block, as there are methods. I always start with a circle and from there I have two ways of doing this. Cut two pieces of fabric – ideally they should have a bit of a contrast, but definitely not the same fabric. If you want to you can add a bit of flannel for a wadding layer, but it will make the turning difficult. Your first option is to place your two pieces of fabric with wrong sides together. You then give it a small binding to hide the raw edges. It is the binding that will give you the lead glass effect. Your second option is to stitch your circles with right sides together, leaving a small opening to turn the circles inside out. You will then stitch the opening closed by hand. You won’t have binding to give you the lead glass effect, but if you use contrasting fabric this will turn out really nice too. 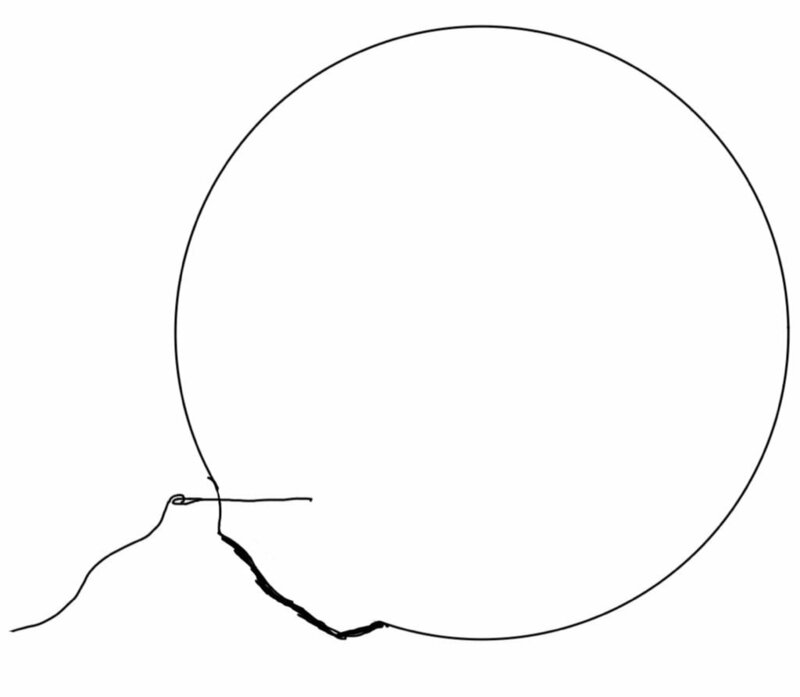 Regardless of which option you take (wrong sides together, right sides together) you will stitch your circles together on a straight line as shown in the diagram. 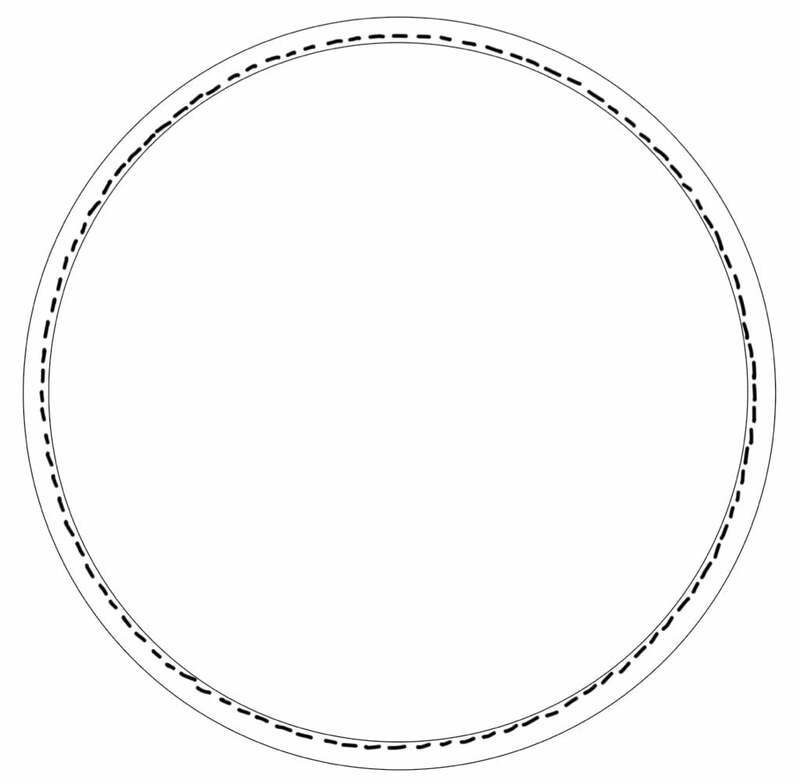 The diagram shows you where you would attach four circles to the central one. To finish off, you will then press the seams open and hand stitch the curves down on themselves. Posted in Block Barn and tagged appliqué, beginner quilt, cutting, patchwork, patchwork blocks for beginners, quilting patterns, quilting tutorials for beginners, tutorial.